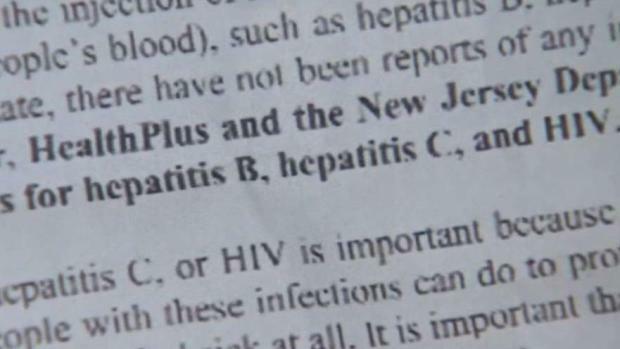 A New Jersey surgery center that may have exposed more than 3,000 patients to HIV, hepatitis B and hepatitis C is now facing at least one lawsuit. Ken Buffa reports. 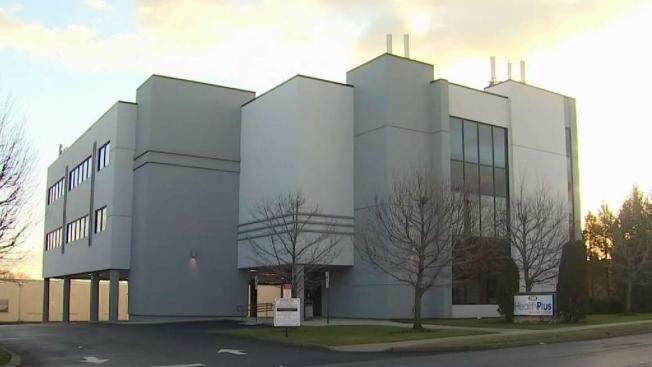 State investigators say a New Jersey surgery center that may have exposed more than 3,000 patients to HIV, hepatitis B and hepatitis C used poor drug storage methods, an outdated infection control plan and unacceptable sterilization practices. Operating rooms at the HealthPlus Surgery Center in Saddle Brook were not properly cleaned and disinfected between procedures, according to the report from the state Department of Health that was made public Friday. In one instance, an inspector saw a stretcher in a hallway with a blood-stained sheet that wasn't properly disinfected even after the inspector pointed it out to staffers. State surveyors also found the facility improperly stored sterilized items, jeopardizing their cleanliness, while other sterilized instruments revealed rust-like stains, the report said. According to an inspection conducted in September, HealthPlus suffered from a troubling list of infecetion control lapses. Chris Glorioso reports. During a news conference Saturday, facility representatives said an investigation determined that "a handful of people who have been removed" were mostly responsible for the lapses that occurred. Two employees were fired after revelations that thousands may have been exposed to the diseases. Nearly 3,800 former patients have been urged to get tested, but authorities say no illnesses have been reported. The health department says the risk of infection is low, noting the recommendation for testing was made out of "an abundance of caution." State health officials have said anyone who had a procedure performed at the center from January to Sept. 7 this year may have been exposed. The facility was shuttered for three weeks in September after the state Department of Health received a complaint. The center's nursing director resigned a day before the facility was shuttered. Mark Manigan, a Roseland attorney representing the center, declined to say if that was related to the complaint and closure. He said the center's administrator is not expected to resign. As part of a corrective plan implemented with the center's reopening, HealthPlus must conduct quarterly infection control audits and sterilization audits every six months. New questions are being raised about a health scare at HealthPlus Surgery Center in which more than 3,000 patients have been warned about potential exposure to blood-borne diseases in a 10-month period. Sarah Wallace reports. At Saturday's press conference, Manigan said 186 patients have been tested so far — one of whom received a preliminary result indicating he or she had chronic hepatitis. The chronic nature of the hepatitis indicates a "preexisting condition" that the patient most likely had prior to treatment at the center, the attorney noted. The center is already facing a proposed class action lawsuit filed by two Passaic County residents on Friday, one of whom received medical treatment at the center at some point between Jan. 1 and Sept. 7 of this year. "As a result of [HealthPlus's] failures, individuals who sought medical treatment at HealthPlus, as well as their spouses, with whom they have been in close physical and sexual contact, were exposed to harmful and potentially fatal viruses, including but not limited to HIV, hepatitis B and hepatitis C," the suit says. "The plaintiffs and other similarly situated now live in fear of their exposure to these potentially fatal viruses," it adds. Staff at the center said patients can see its plan of action and sign up to get tested on its website.